I’m a bit sad about Bobbi leaving her brand. I love her skincare products like the Extra Balm Rinse, Hydrating Eye Cream, Hydrating Face Cream, and Soothing Cleansing Oil. She also makes good foundation colour shades that, in Europe, is so much more inclusive compared to other big brands. There’s the Smoky Eye Mascara – it adds really nice definition when I’m wearing a lot of eye makeup. Also the Serum Concealer and Corrector are really good. I used mine for 8 months before I ran out and I wore them 5 days a week. That’s great value for money. 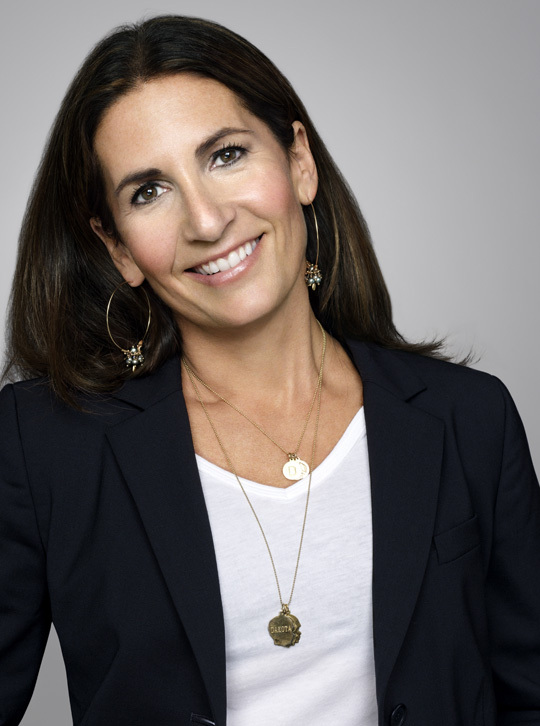 I have seen Bobbi Brown once in 2010, in person at Nordstrom in Westfield Downtown SF. I didn’t want to be a groupie so I didn’t approach her. She was there for a signing session for her book. Her skin glows! I wasn’t the least bit shocked when the announcement was made. The writing has been on the wall for quite awhile. It appears that Bobbi has been steadily losing artistic control over her eponymous line. She was the original go-to brand for women who wanted natural looks that were easy to do, that were polished without looking contrived, that were fashionable without being overtly trendy, and that made a woman feel like she was presenting the very best version of herself rather than a painted Instagram façade. But, as her line grew, the focus was lost. First, the beauty campaigns like Pretty Powerful that featured regular women of all ages and ethnicities were replaced by a celebrity face. Katie Holmes was boring but not too bad, but Kate Upton? Definitely not a Bobbi Brown kind of gal! Such a disconnect! Then there was the development and release of products that Bobbi herself said she would never use (on QVC no less). When it was decided to expand her line into the Asian market, she was told she’d need products with much more color and shimmer. Finally, the products themselves deteriorated in quality to the point where there are now far too many misses amongst the hits and the repetition has become a bore. You know, there is nothing wrong with remaining a smaller line and remaining true to the demographic that you sought to please in the first place. Once you fall in league with Big Money, you can’t expect to have the same kind of control because it becomes all about the investors’ bottom line. Yeah, it was definitely time for Bobbi to move on. What’s wrong with QVC, they sell a ton of product, and for some people who live far away from a department seeing Bobbi on TV using the products could be the closest they might get to a beauty counter. You completely misunderstood my comment :-(. There is absolutely nothing wrong with selling products on QVC. In fact, I’ve purchased Bobbi Brown, Tatcha, and Edward Bess from QVC because they often have really good pricing on bundles. My point was that when the hostess asked Bobbi how she herself used a particular product, several times Bobbi answerd with, “I don’t use it.” or “I never use it.” The poor hostess was obviously feeling very flustered by Bobbi’s lack of enthusiasm for the products being featured and it let millions of QVC viewers know that Bobbi herself would not consider using a number of her own products. So, I was not dissing QVC in any way and I’m sorry you misunderstood. I think I did see that as well. I am sad about it because I’ve always respected her philosophy regarding makeup and her resolve to do things her way. I’ve also been a critic of the contouring trend and it was refreshing to see Bobbi support the women who don’t want or need contouring. I just hope the brand doesn’t go the way of MAC and lower quality while increasing product promotion. As an MUA I use BB products as my HG products and I’d be devastated if I had to phase then out of my kit. it’s going to be strange without her…i think a big part of the brand image is bobbi, and her views on beauty and makeup. i hope the brand is able to follow a coherent thread without her. it will be interesting to see what she does next! I was surprised but she’s been at it 25+ years so It’s probably time for her to retire! I hope the company stays true to the vision. I hope she still works with them in a creative capacity. I think that’s exactly why you don’t name a company after yourself and then set up a structure that gives others, like a board of directors, more control over it than yourself. She’s certainly not the first or last to experience this, however, and I feel for her. I was highly disturbed by this news, still haven’t processed it. I don’t understand why she would leave her brand. Was it getting too tiresome having to work with Estee Lauder? Were they wanting changes that Brown didn’t approve? Are there health issues? So, so many questions. I do love her products. In fact, I wore all Bobbi Brown makeup on my wedding day (Karen, have you done a who’d you wear on your wedding day face post?). I hope the quality and the great colors will continue. In fact, most days of the week I wear her pale pink blush. I really love her lip gloss, especially the petal shade. I love the lipsticks. I often wear Brown and Pink. The lip liner is good. And the white eyeshadow is perfect on my brow bone. I also really love her banana hued face powder. So many things I love. Also, it’s fun that she looks like she hasn’t aged a day. I’m not really surprised, to tell you the truth. The Bobbi Brown products have been gradually becoming more and more un-Bobbi over the past few years. Her leaving seems kind of a ‘closing the barn door after the horse has escaped’ thing. She sold out; what did she expect? But then, after the events of the last two days, I’m sad and jaded and pretty much hate the world in general. What a terrible year! I love BB, this is sad news. I was surprised. Her Skin Foundation Stick in Alabaster is my HG foundation. If it came with more product for the price, it’d be the only one I’d buy. The brand was great for me when I first got out of college and wanted to be a little more mature, i grabbed several of their very subtle light eyeshadow palettes, plus concealer and a couple lipsticks that are very satiny. I’m still using the shadows. But it hasn’t been super inspiring for me in the last couple years, so seeing her leaving for something else isn’t all that shocking. I feel like Charlotte Tilbury’s line is replacing that feeling that Bobbi Brown’s once gave. Perhaps after 25+ years she wants to take time for herself, nothing is guaranteed and if you have the money to retire and spend time with you family, why not ? If that is a recent photo of Bobbi Brown, I should have been using her entire line! My favorite is her concealer, which is easy to use on the fly without redoing your entire makeup. I hope her departure is just her choice to do something new – but I also hope her kind of simple sophistication won’t be entirely missing in a Kardashian kind of environment. I guess I don’t really have an opinion one way or another. I only have three or four shadows. The only product I consistently use from her line is the brow gel, because it comes in a cool gray shade that works for my coloring. I understand it in a way. She’s been doing this for 25 years and I can only imagine what it’s like to develop or release new products with the Estee Lauder group as your owner and therefore money investor. I wish her much success and happiness in whatever she decides to to. I love her undereye corrector, the pot rouges and the art stix! I hope they don’t change those, or else I’m stocking up! I’m disappointed that she’s leaving, but I’m hoping this means she can create better products for elsewhere! Ditto Eileen ! She said it all ! My niece is a makeup ? artist that works for her line and she didn’t even know ! But it was announced on FB and she’s been off of FB for awhile ! I havent tried much from her brand, but the one exception, the corrector, is my holy grail. The founder leavin a brand is aleays a sad moment, I feel like no matter how hard they try, no one can really capture the vision someone else had for a brand. I was very bummed to hear she is leaving, but I’m hoping maybe she’ll start another line – one that is true to her original vision of what makeup should be. Once BB was devoured by EL, it changed entirely – BB used to be all about flattering colors, matte to nearly matte shades, and looks that enhance *you*, not make you something else, but EL changed all that. I hope she starts her own line to compete with her old line – that would rock, but it still makes me sad to see that she lost control of her original baby… The gel liner and corrector and concealer are still top notch products that I will use until I stop wearing makeup. Hope she has something lined up – best of luck to Bobbi. Yes Bobbi brown is my favourite makeup line. My daily favourites are the illuminating bronzer in Antigua and creamy lip colour in rose petal. I use many of her lipsticks and blushes, stick foundation, eye shadows and the new highlighting powder. Very disappointed to hear this. I will be gutted if they do away with my faves. I was surprised when I heard about Bobbi stepping down, but to be honest, I respect her for taking this step. After 25 years she has probably accomplished much of what she wanted while still maintaining her integrity. The last couple of years, it seems that her “every woman” approach changed when she started using famous, younger women (Katie Holmes, Kate Upton) as the “face of Bobbi”. Her product line also became a bit “trendy’, lots more shimmer, sparkle, etc. i wish her all the best in whatever new endeavor she takes on. She is a real inspiration for me as a woman in her late 50’s following her heart. She will be missed, but I don’t think it is a major issue for me and I have been a loyal customer since 1995. By the way, one of my favorite products, the Moisture Rich foundation is being discontinued anyway, so after I finish the bottle I have now, I will need to find something else. I will survive this too. I stocked up on moisture rich foundation when it was being discontinued and am now about to finish the last bottle. Did you find anything similar as a replacement? Fretting about what to get next! I wasn’t that surprised. She’s about a year younger than me, and sixty is a good age for thinking about new beginnings. I wouldn’t be at all surprised if she does something amazing! I love the Art Sticks, too, and the Luxe Lip Colors, especially in Bright Raspberry and Brocade. Agree on her cream shadows (including the sticks!). Her matte eyeshadows have the broadest range of neutral, skin-tone colors, which is wonderful for natural looks (and filling in eyebrows) but I would love to see the formula updated just a little, to be creamier and more opaque. It’s just weird, ya know. I mean SHE is the brand. It’s not Bobbi Brown without Bobbi. So yeah, it’ll be strange at first. But I bet we’ll get used to it soon enough.